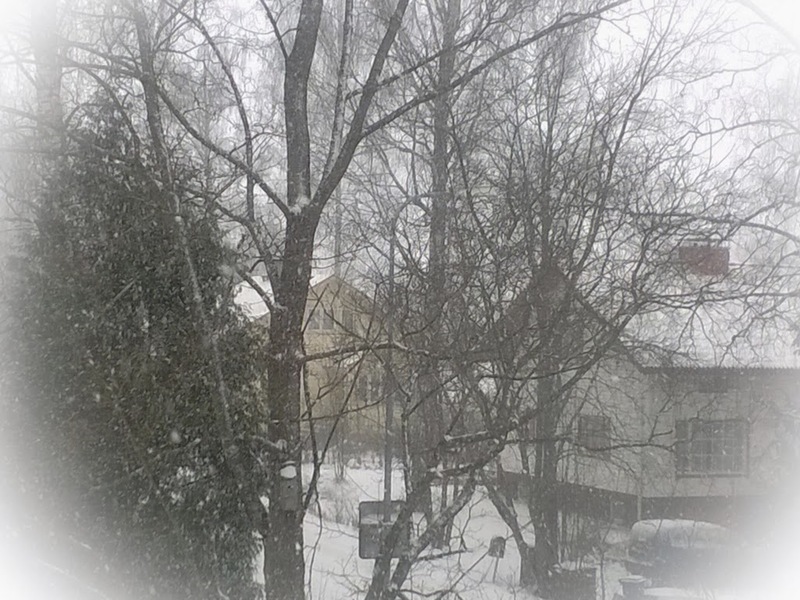 February brought 15 centimeters of new snow overnight. Since it's Saturday, none of the streets have been plowed yet. Our neighbor was in the business of pushing snow from our joint driveway, when we went out for a walk with the dog (my first walk after the surgery! 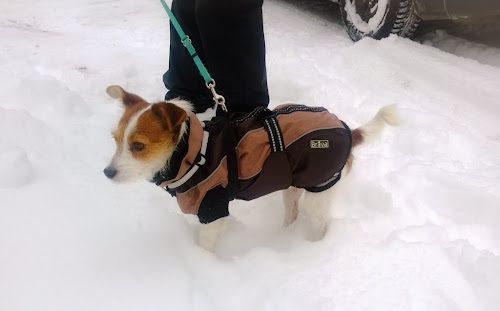 ).The dog has never before seen such snow and was a bit perplexed, but after a while started leaping in th snow and burrowing its snout in it and such.